‘Wasantha Sanakeliya’ 2019, one of the most awaited exquisite events happening in the heart of the Nuwaraeliya is on from 1st April to 30th April 2019. The annual event attracts thousands of entertainment seekers in to the iconic town Nuwaraeliya from every corner of the country and this year the Nuwaraeliya expects more than 2.5 million visitors. Sri Lanka Insurance has stepped forward to provide a personal accident cover worth of Rs. 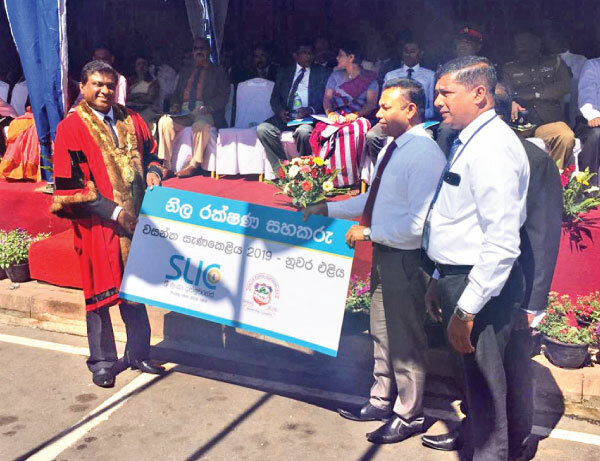 100,000 for visitors who participate at Nuwaraeliya Wasantha Sanakeliya during the season. The Personal Accident cover includes accidental deaths, permanent total disablements, permanent partial disablements which may occure during the festive season at Nuwaraeliya. Sri Lanka Insurance promotion site will offer many fun filled activities art competitions, singing competitions, VR game zones are a few to name. There will be gifts for all. So visit SLIC at the Nuwaraeliya festive site.